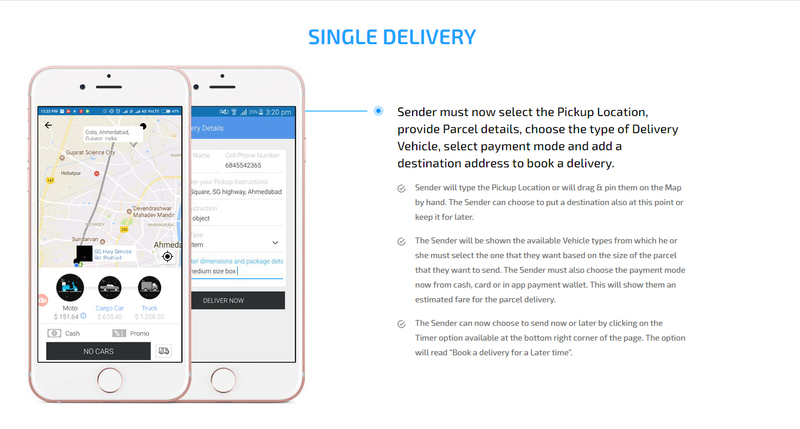 A modern approach to helping people getting their items delivered, from the convenience of their smartphones! 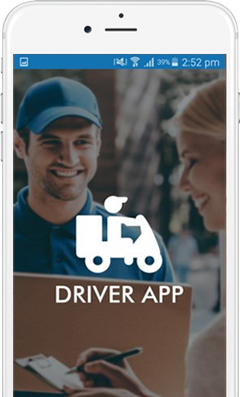 This is a revolutionary app that is all set to make you a business mammoth in the delivery industry. 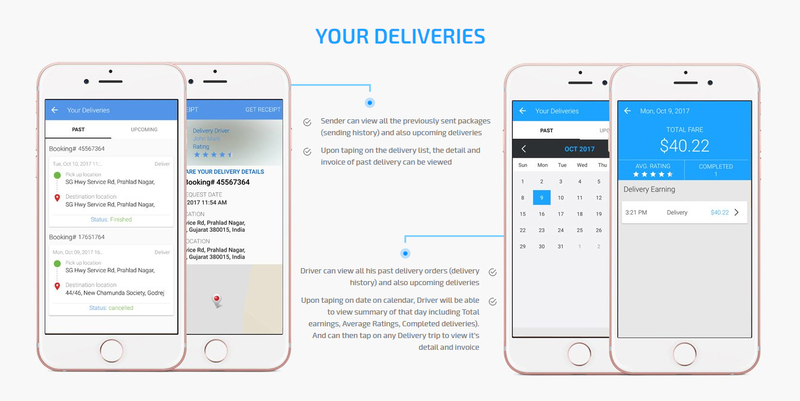 Almost everyone needs to get some item delivered at some point in time. 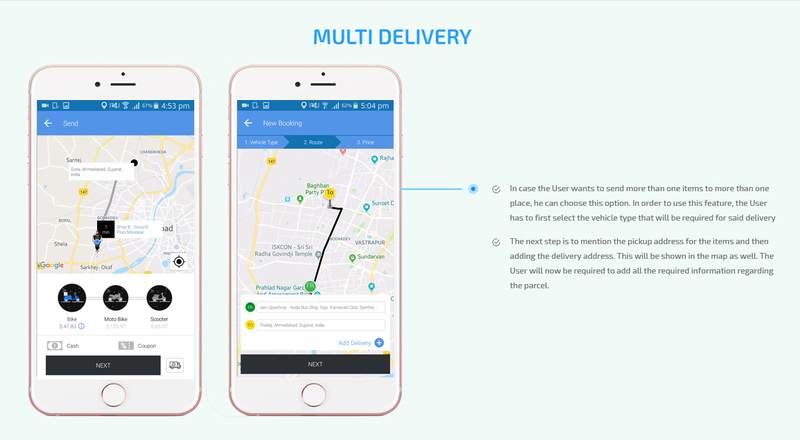 Give your users the advantage of hassle free digital deliveries with the help of your application. 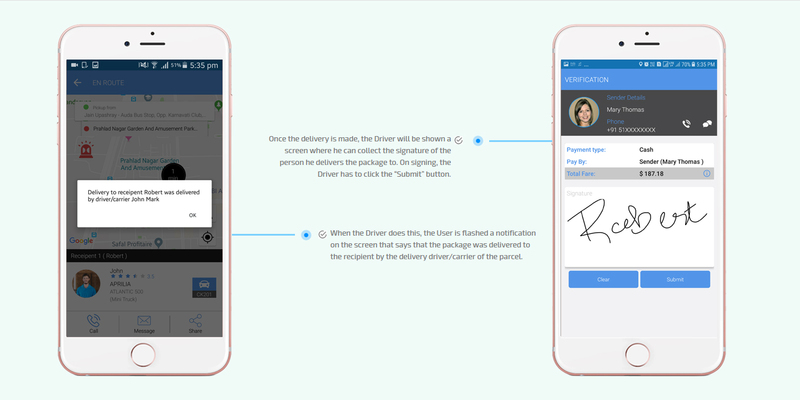 Regardless of whether the parcel is an envelope or a bag of cement, if your client wants it delivered, your app can do it for you. 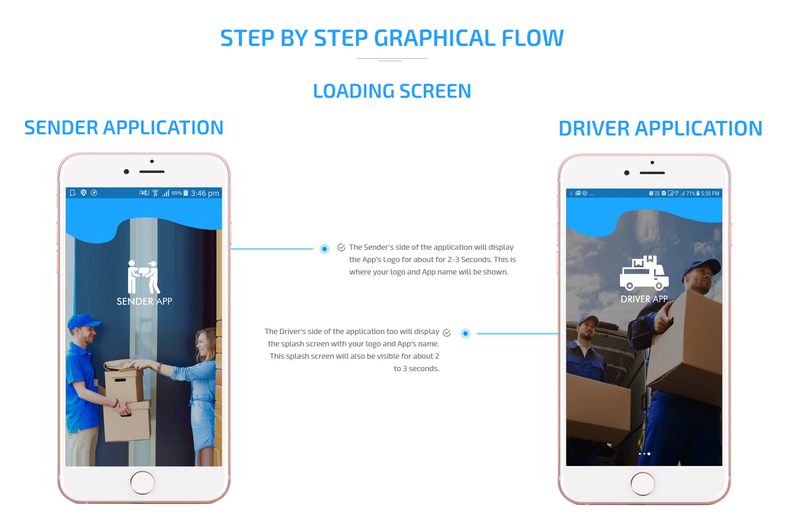 Our On demand devlivery app development strategy has been to create a robust applciation which is absolutely responsive. 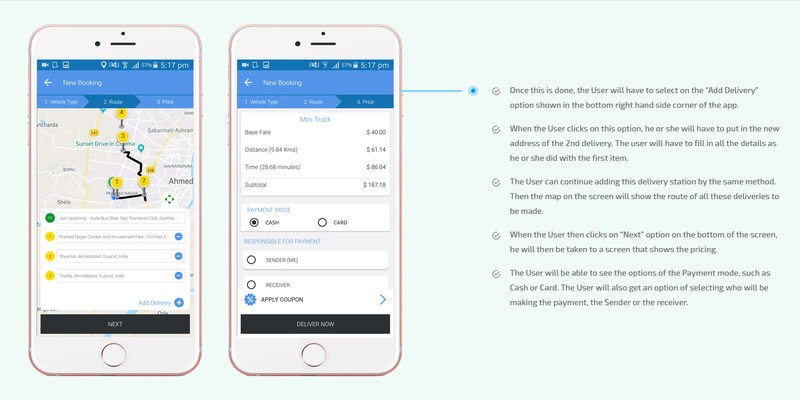 This has been done to ensure that the app can be used by just about anyone. 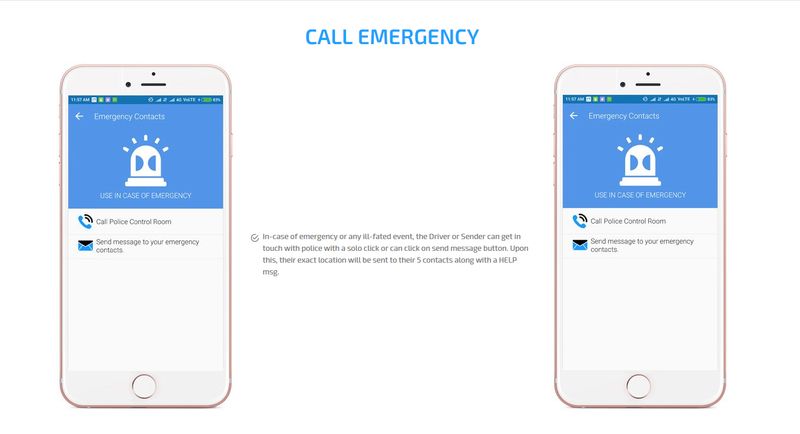 Now you don't have to worry about whether your user is Android or iOS. 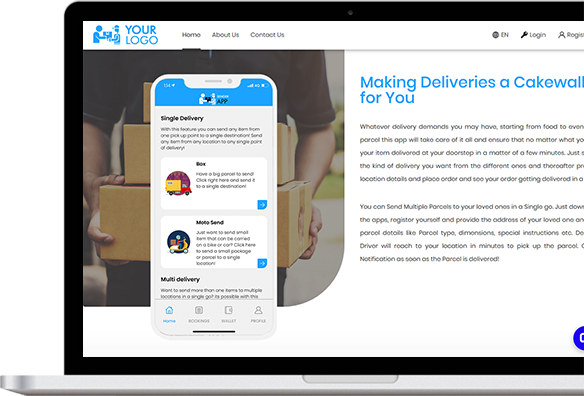 This Gojek clone app for Delivery on demand business works flawlessly over any platform and any device! 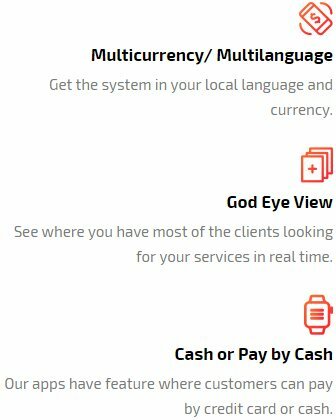 We love our clients! 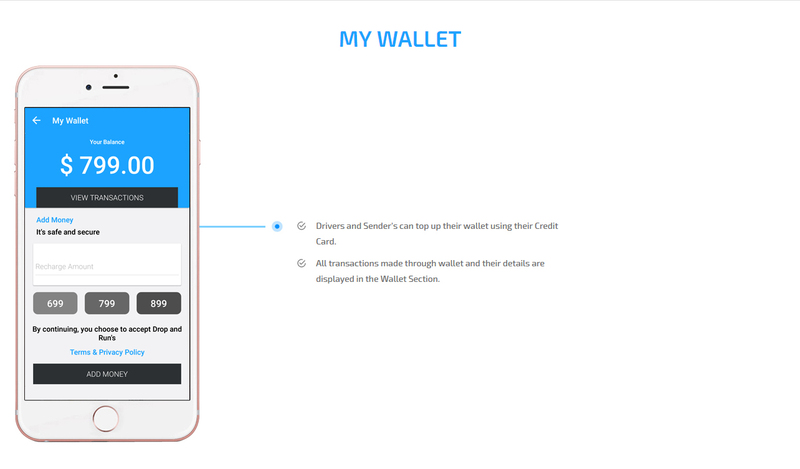 We would never want you to spend your money on anything without knowing what you will get. 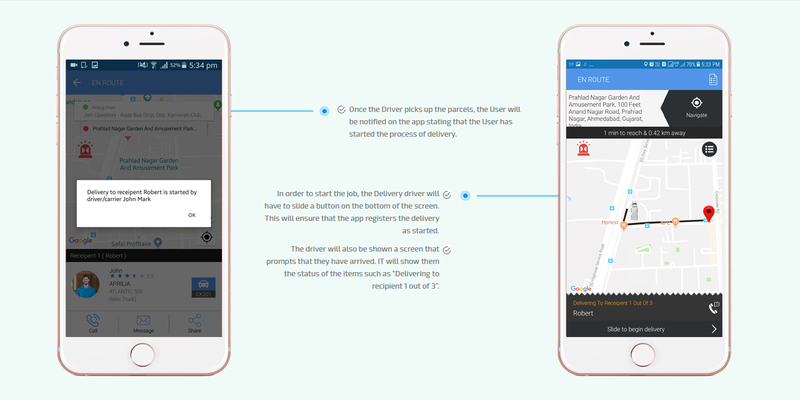 This is why we urge you to download our Demo application of Postmates clone and take it for a live test! 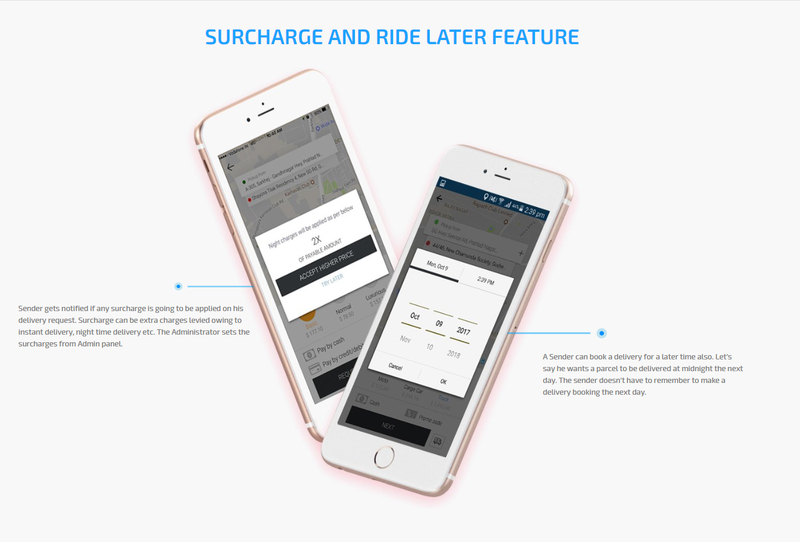 We know you will love it! 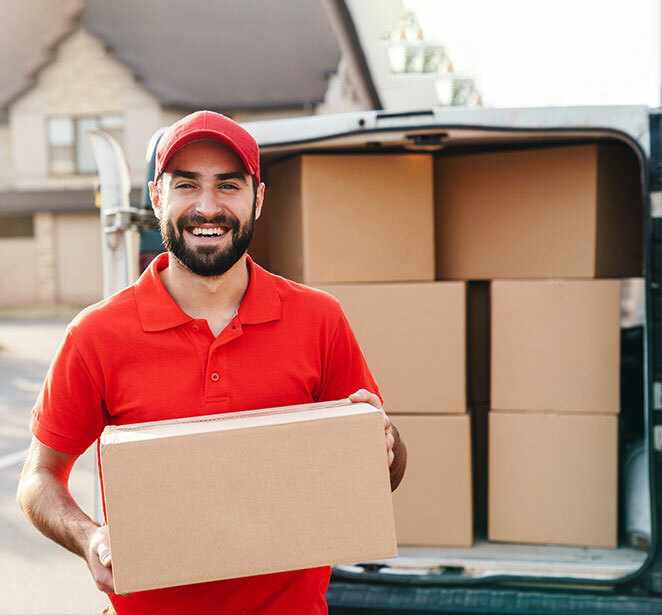 Getting items delivered from one place to another is a requirement for just about everyone. Regardless of whether it is a household, an office, an industry or a restaurant, things need to move from one place to the other for the world to function. 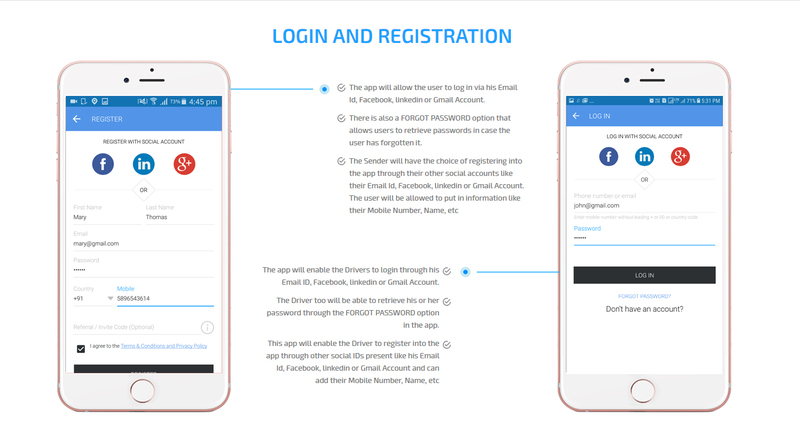 In order to use the Postmates clone, your user will first have to download the app and log into it using their social media profiles like Twitter, Facebook, Gmail or any other email ID. 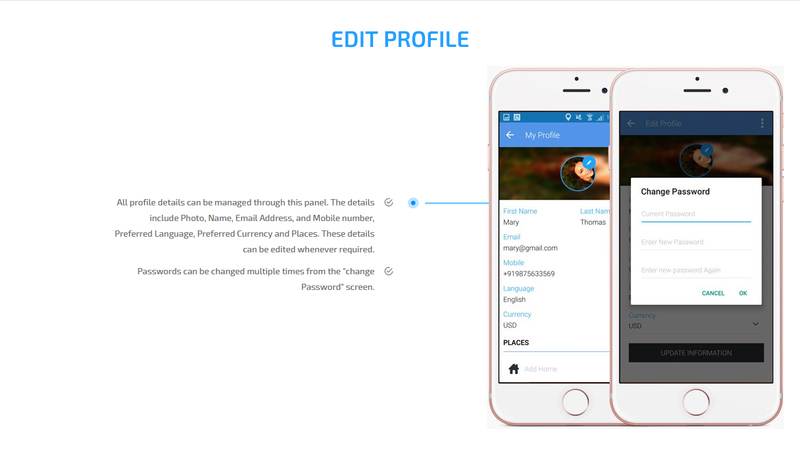 Alternatively, the user will be able to create a new profile and fill in important details like their name, address, phone number etc. 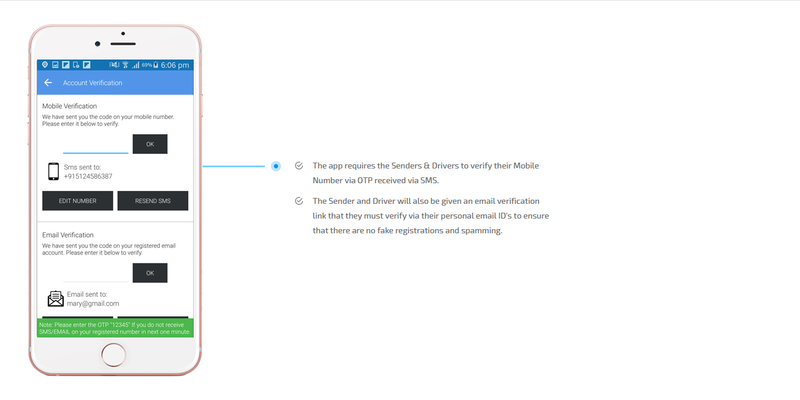 Their credit card details too will be needed at this point. 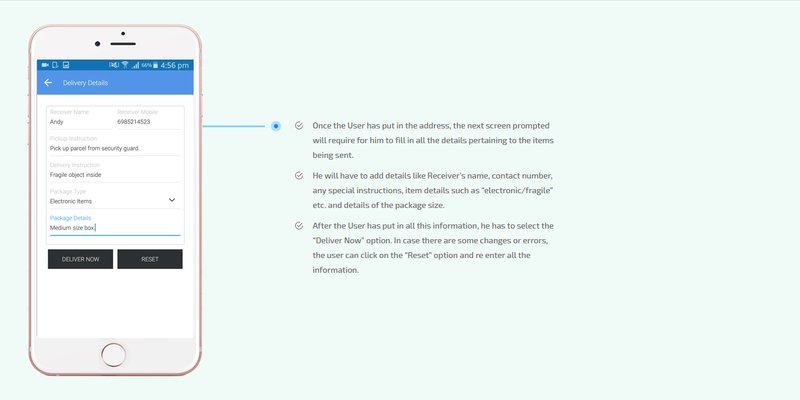 The user will now be able to send their item for delivery. 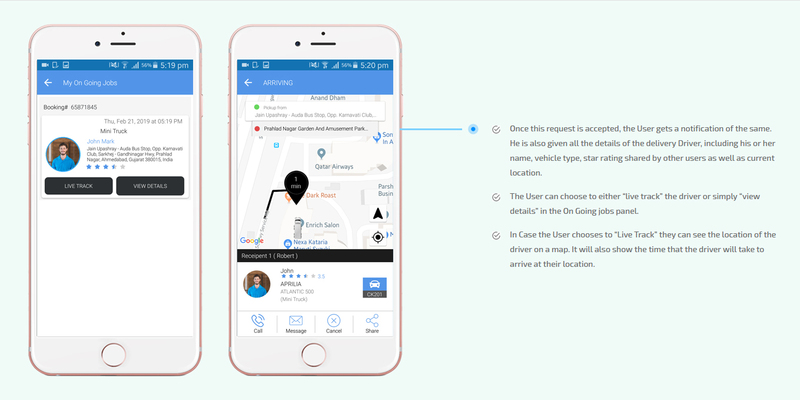 The User will now be taken to a screen which will ask him or her to fill in details about the Pickup Location, Receiver's Address, Vehicle Type, Payment Mode, Parcel Details and Request a Delivery Driver. 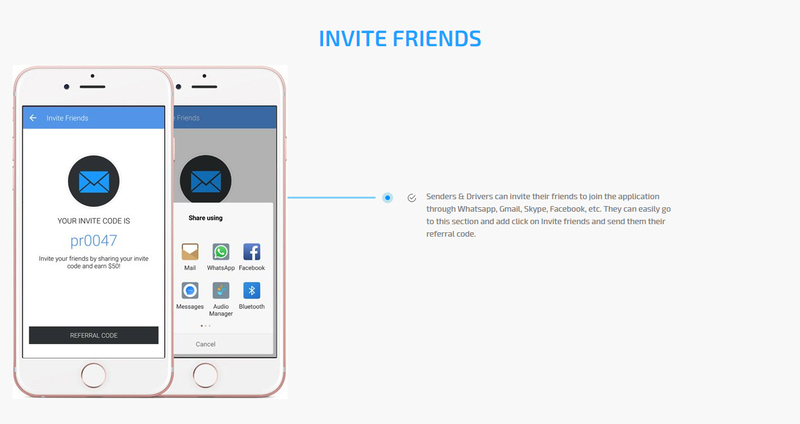 Once the User has sent out the request, the drivers suiting the requirement of the user will be notified of this. 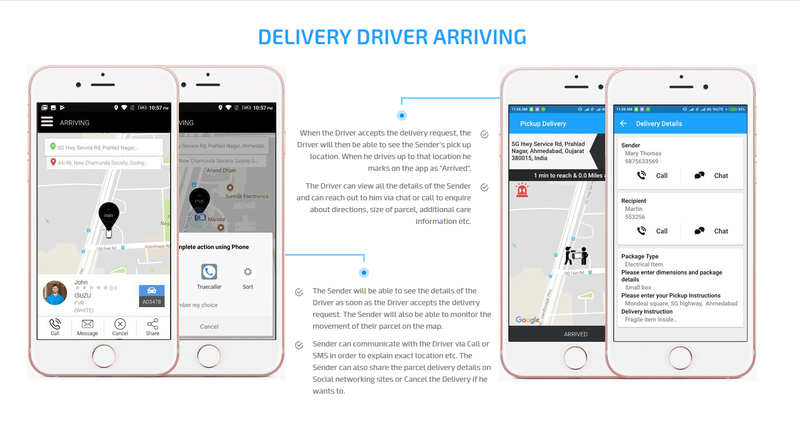 The Delivery Driver can accept or reject the request. 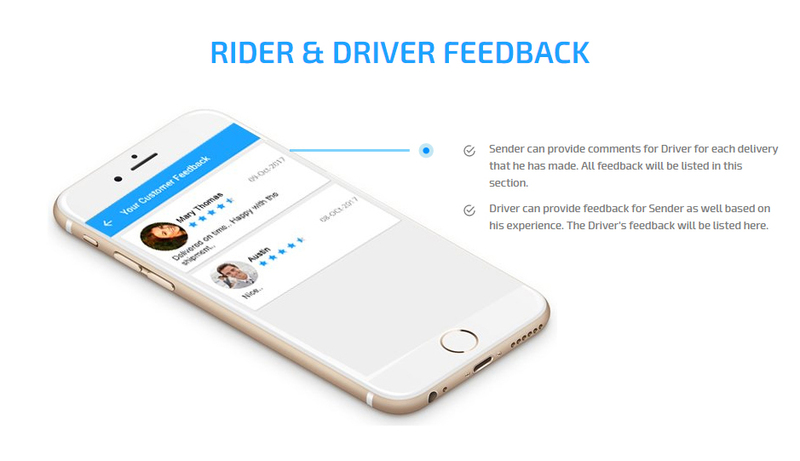 Once the driver accepts the request he gets the job. 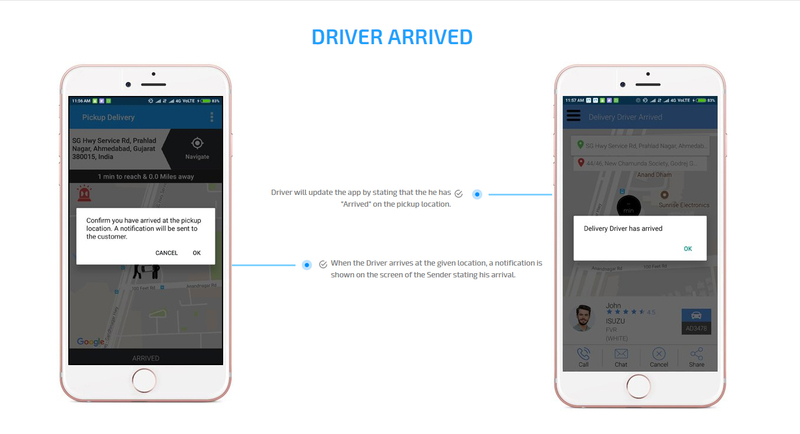 The driver arrives to the pickup location and updates the app by selecting the "ARRIVED" option. 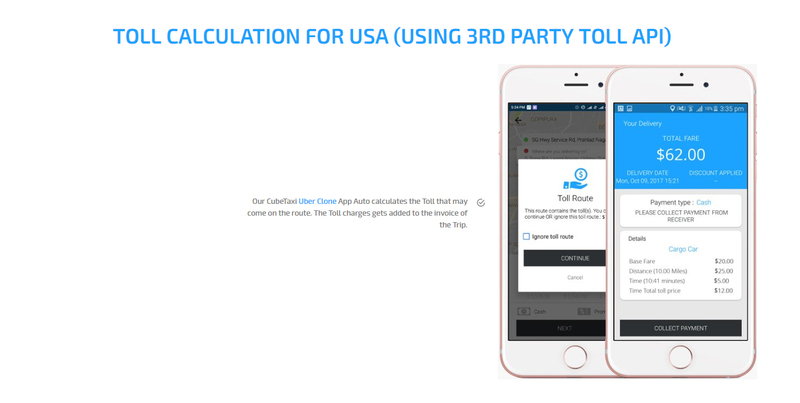 After picking it up they mark the app as "ITEM COLLECTED" and then set course to deliver it. 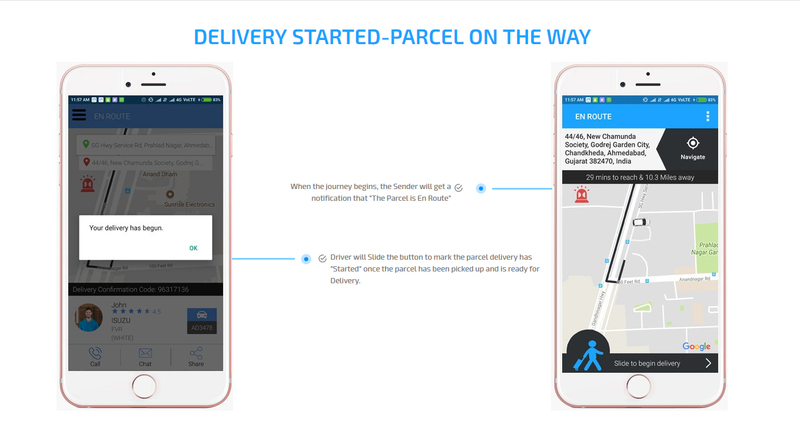 The User can now trace the exact location of the parcel as it travels real time on a map. 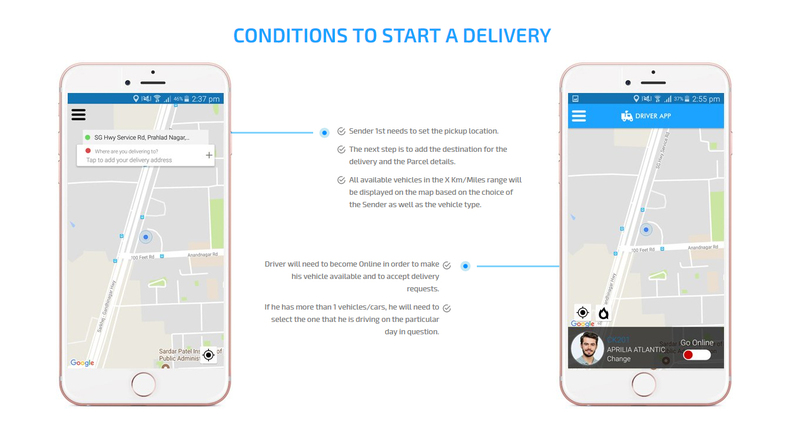 Once the parcel has been delivered, the app will be updated by the Delivery Driver as "DELIVERED". 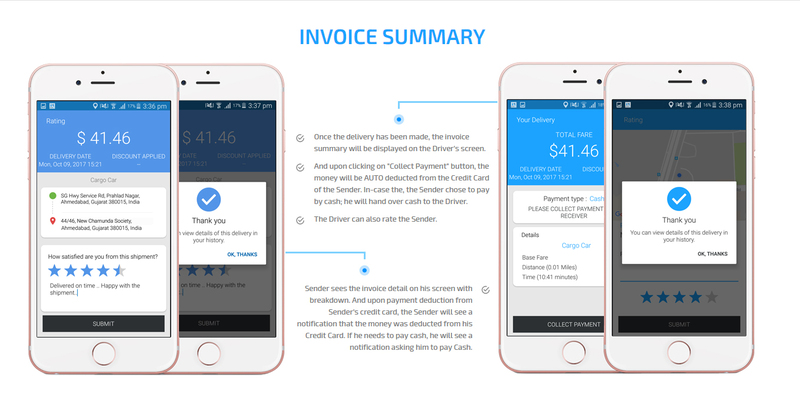 The payment is now automatically deducted from the chosen account of the User once the invoice is generated. 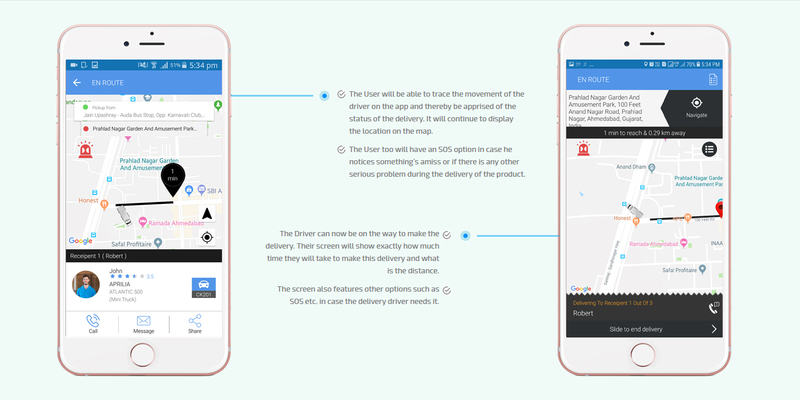 The Postmates clone app will now ask your User and Driver to rate each other based on their experience in using the application. 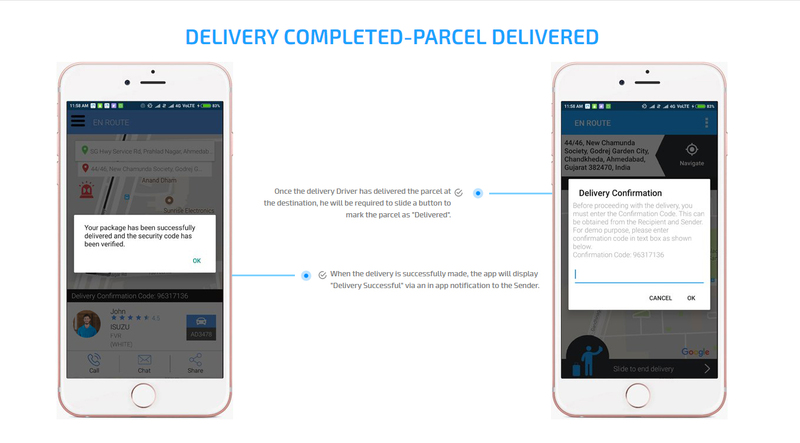 A Modern Approach Of Giving Your Customers The Quickest Way Of Getting Their Parcels Delivered! 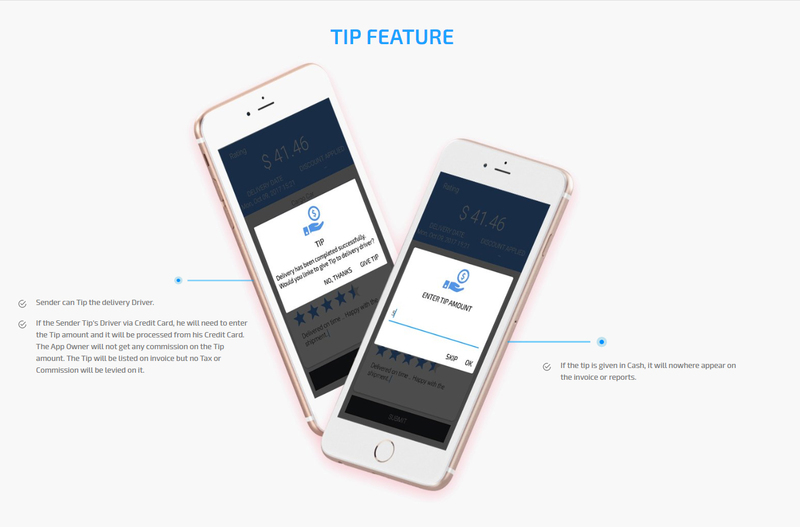 This is a power packed application to ensure that you can make maximum returns by just one single investment. 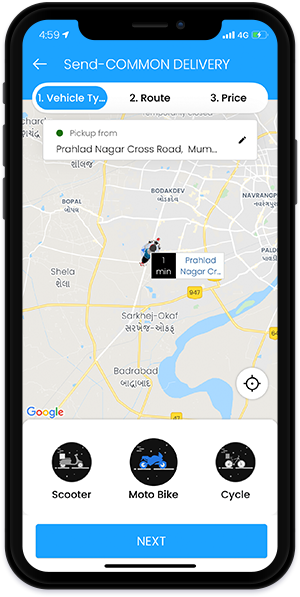 Our Postmates clone app is the foundation of a ground breaking modern approach towards changing shape of deliveries globally. 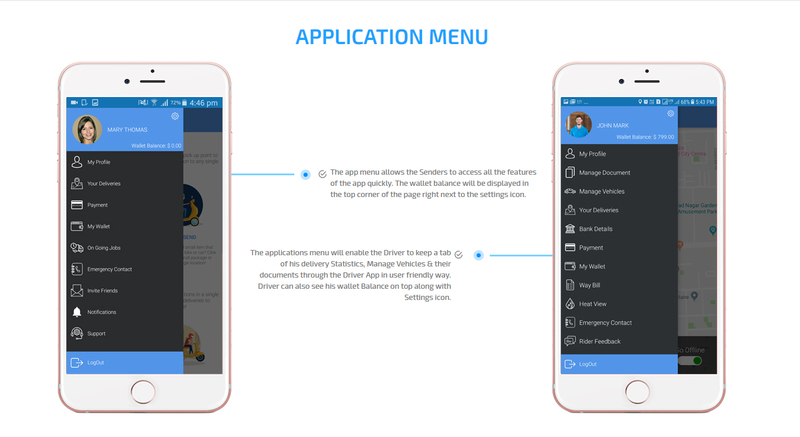 You can choose to manage everything that happens on the app through the admin panel. 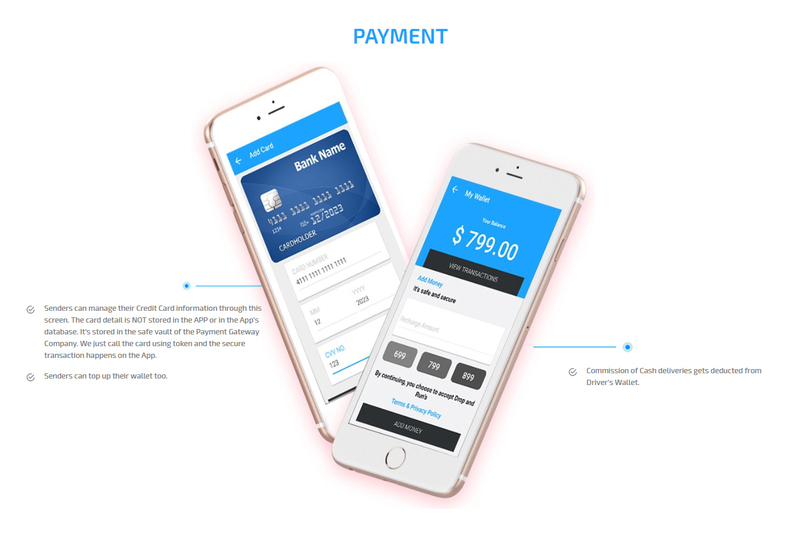 The app has been designed by our team of expert professionals keeping in mind all the necessary requirements so that you can excel in your business. 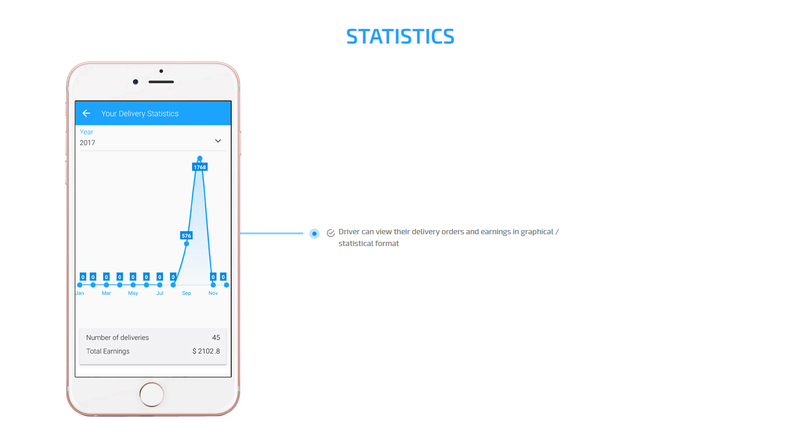 We promise you the best product quality at the most cost effective prices in the market. Just One Step To Succeed! 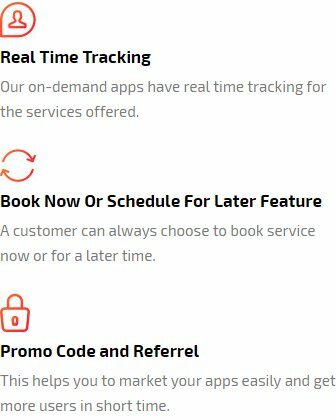 We have developed a complete holistic package to help our customers go full throttle with this business plan. 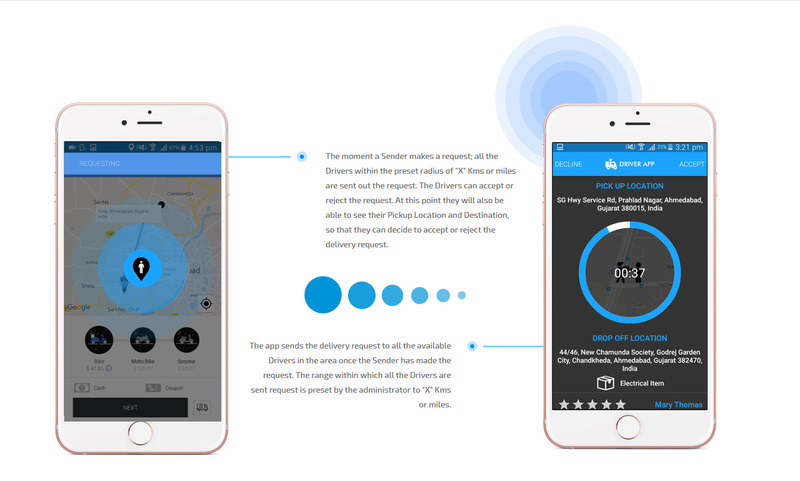 This is not just an on demand delivery app development. It is a whole lot of things packed into one single power packet. 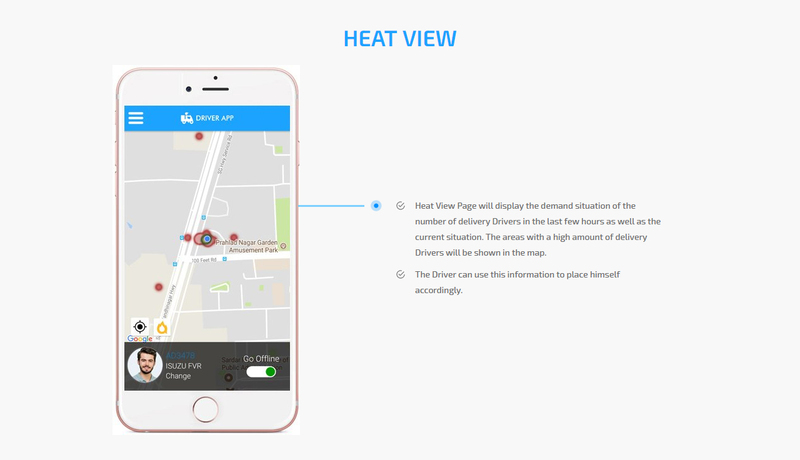 We offer you a User application that will help the user place Delivery orders, a Delivery Driver application, so the driver can accept or reject requests, see their history, check their own reports, an Admin panel which will have high end features like God's View of the app, all reports, revenue generation etc. 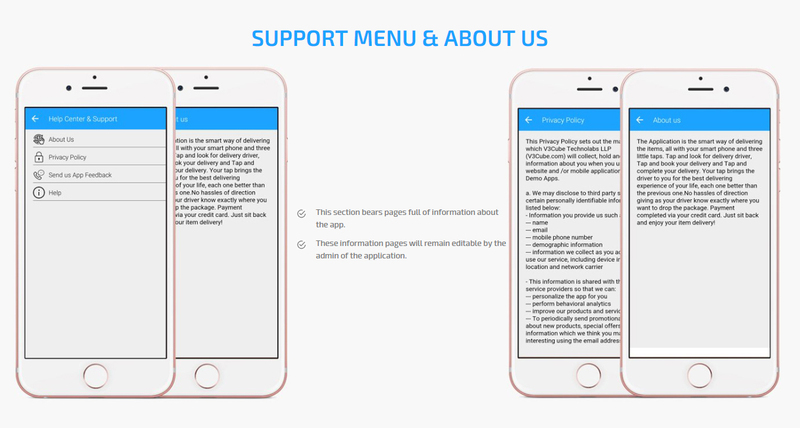 Not just this, we are also giving you a website to represent this application online. 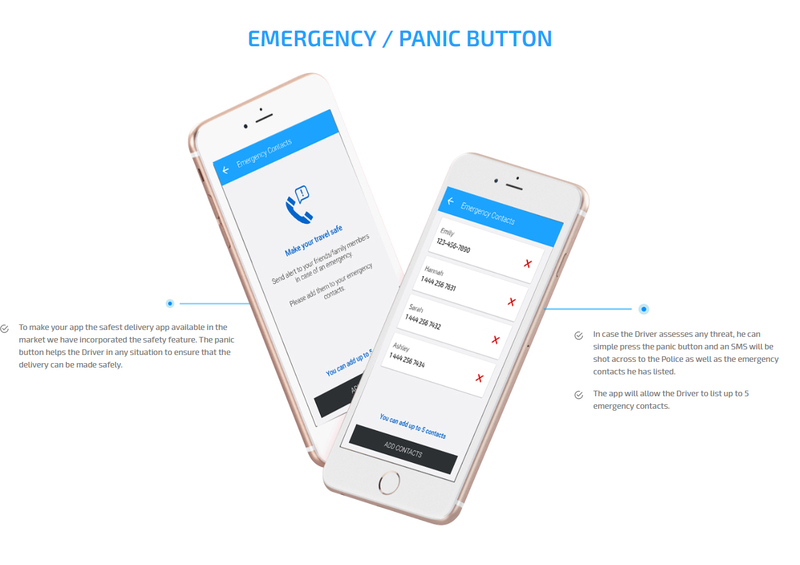 When you have the drive to succeed and a powerful app to back it, there is nothing that can stop you. 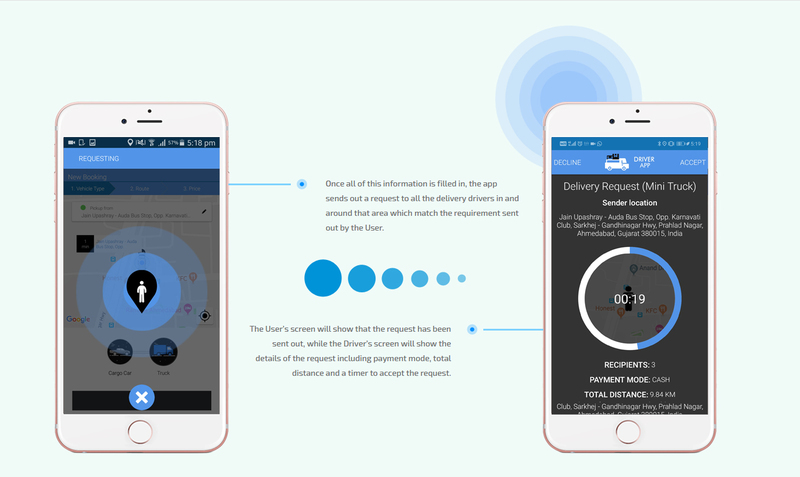 Be a force in the Delivery world to be reckoned with. Make the most of this opportunity. 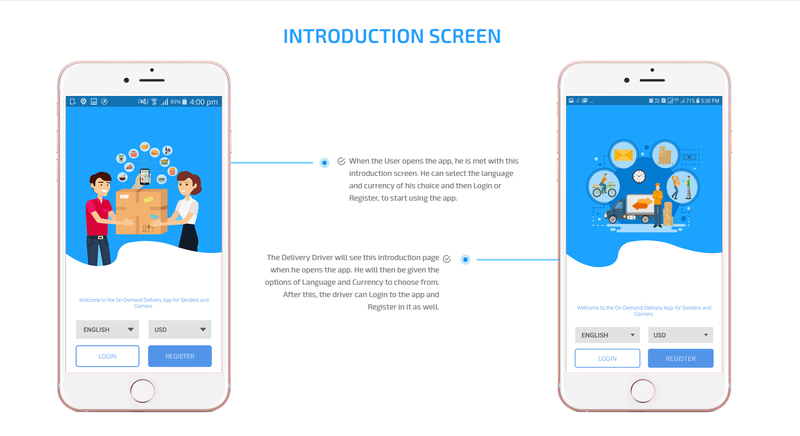 Invest NOW! 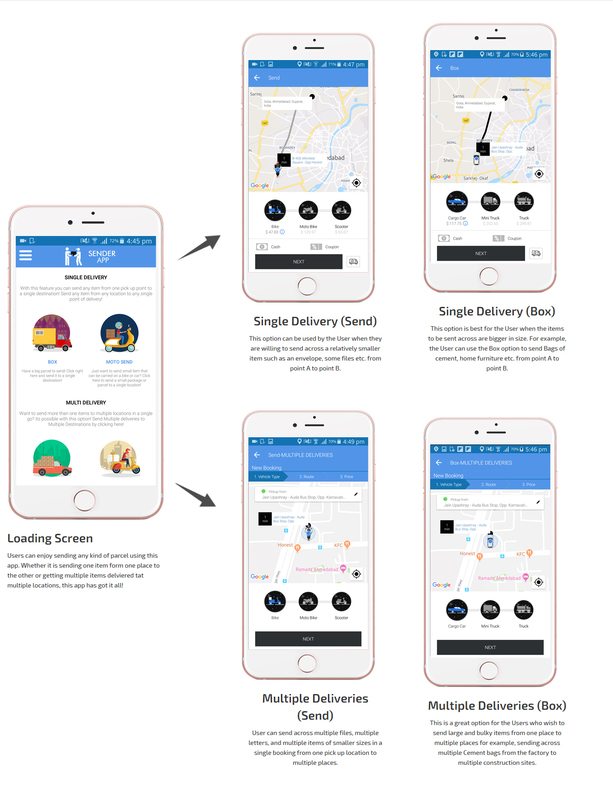 Take a FREE DEMO of the Postmates clone app here!